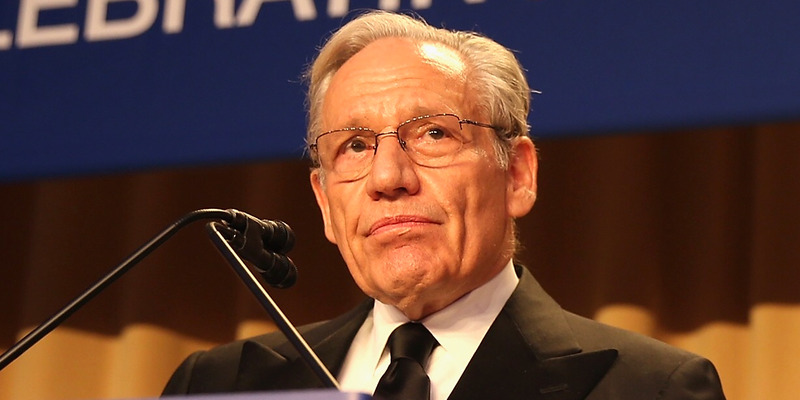 Journalist Bob Woodward recently spoke with Business Insider, discussing his new book, his advice for journalists, and his thoughts on anonymous sourcing. Woodward said journalists should rely even more on what is called “deep background” reporting. Woodward also shared the best advice he received after the Watergate scandal, of which he and Carl Bernstein led coverage for The Washington Post. Fresh off the release of his new inside account of President Donald Trump’s administration, “Fear: Trump in the White House,” journalist Bob Woodward spoke to Business Insider and shared some of his thoughts about the media landscape. Woodward, of Watergate fame, also shared some of the best advice he said he received in the days after former President Richard Nixon resigned from office in 1974. This week, Woodward conducted a question-and-answer session as part of a MasterClass series he’s teaching on investigative journalism. He spoke with Business Insider prior to the session. He said part of his inspiration for teaching the class was to help open up and make public the process of reporting out such an insider account as his recent book on the Trump White House. His book was heavily dependent on sources who were cited on “deep background” – which means the source of information is in no way identified, but the information they shared with Woodward can be used in his report. In many cases in which the information is highly sensitive or could get someone in trouble,people just aren’t going to provide it on the record, he said. After Woodward’s book was released last month, top current and former White House officials publicly denied saying or doing the things that Woodward described in the book. Such an example involved an incident in which Woodward reported that Gary Cohn, Trump’s former top economic adviser, stole documents off Trump’s desk to prevent him from pulling the US out of key trade deals. After officials either denied the story or claimed the framing of it was inaccurate, Trump’s former national security adviser H.R. McMaster publicly confirmed the account. “I know about that incident, and that was wholly appropriate for Gary Cohn, who was a wonderful public servant and a great colleague, to do,” McMaster said late last month, according to The Washington Examiner. The Watergate scandal elevated Woodward and reporting partner Carl Bernstein, both then of The Washington Post, to journalistic stardom. Woodward shared advice he and Bernstein were given by former Post publisher Katharine Graham soon after Nixon resigned. She told the duo to “beware the demon pomposity,” Woodward recalled. “Tell your editor that if they want something right away, ‘Well, give me two or three days on this and I think I can really get to the bottom of it,'” he added.